Leading 100% Export Oriented Unit of ledipasvir sofosbuvir tablet, ledipasvir sofosbuvir and ledipasvir from Nagpur. 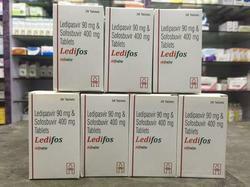 Ledifos Tablet is a prescription drug and should be used under proper medical guidance and advice.The information provided here is for general educational purposes only and does not constitute medical or pharmaceutical advice which should be sought from qualified medical and pharmaceutical advisers. 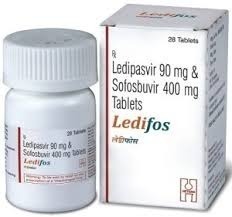 Ledifos is indicated for the treatment of patients with chronic virus (HCV) genotype 1, 4, 5, or 6 infection. Looking for Ledipasvir Sofosbuvir Tablet ?